Only one can be queen of the kingdom of Whitespring - the evil stepmother with a heart of glass or the delicate princess carved out of snow. 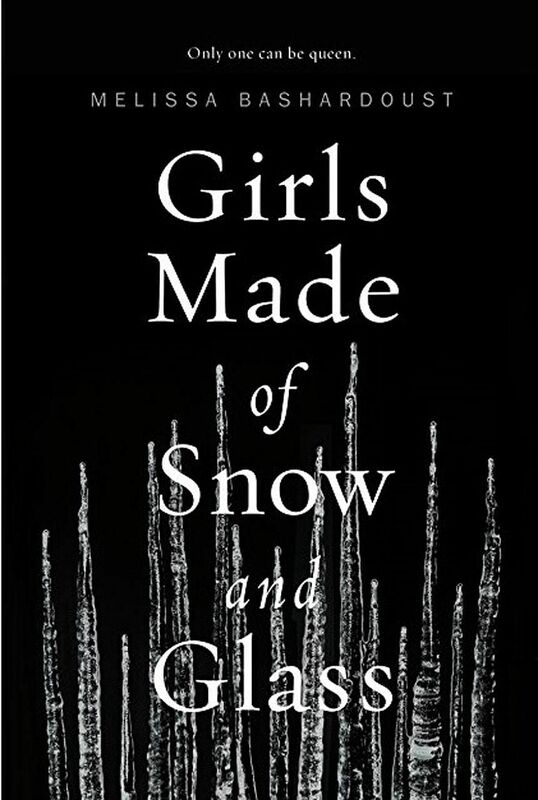 Young adult novel Girls Made Of Snow And Glass seems to play right into the typical fairy-tale trope, only to subvert it. American author Melissa Bashardoust's debut novel, which reads much like a mash-up of Frozen and Snow White, attempts to question the role of women and their relationships with one another. Mina has never felt her heart beat, probably because hers is made of glass. When she moves to the castle with her magician father, she meets the king and decides the best way to win love would be to become his queen. Lynet, the king's only child, should have been stillborn, but was magically carved out of snow. The young princess wants nothing more than to be free of the shadow of her dead queen mother and the castle's expectations. There are no princes or knights in shining armour to be found here - the novel alternates between Mina and Lynet's voices, weaving the two "sides" of the story into one narrative as each girl discovers self-worth, love and her own power. While the novel promises to be a thought-provoking take on a classic fairy tale, exploring ideas of the modern empowered woman, the writing itself left a little something to be desired. In an effort to cover too much ground, the narration misses out on truly exploring any of the ideas mentioned, resulting in a lack of focus that makes it difficult to be emotionally immersed in the novel. The characters feel under-developed, leading to a frustrating read that lacks the emotional intensity of a good coming-of-age novel. Bashardoust suggests a lot, but explores much less. One particularly poignant chain of thought, "She had to be beautiful tonight, in order to be memorable", is disappointingly unexplored. Mina's use of her beauty as a tool, taught by her father and internalised, merits no more than a few mentions. By the end of the novel, the entire issue of self-image remains largely unresolved. She never seems to explore and understand this crucial aspect of self-identity. Another example is the novel's treatment of Lynet's sexuality. She glances occasionally at the female court surgeon, mentioning at one point: "Lynet liked to see Nadia smile, to hear her laugh." The novel makes occasional suggestions that young Lynet might be developing feelings for Nadia, but with no real emotional tension, the almost off-hand treatment of this crucial area of character development as a mere after-thought culminates in a flat embrace that is also emotionally vacant and confusing. For a novel with so much potential, it lacks character and nuance. Turning the final page felt not like the end of a satisfying feast, but as if one had just eaten a fast-food meal - unsatisfyingly vacant. If you like this, read: Beastly by Alex Flinn (Harperteen, 2007, Books Kinokuniya, $18). The novel that inspired the 2011 blockbuster film of the same name, Beastly is a retelling of the fairy tale, Beauty And The Beast, from the view of the beast and set in modern-day New York City.